Working with Golden Gate Sign Company guarantees a sign that is as well-designed and handsome as it is effective. Our San Francisco Bay Area sign company employs some of the most dedicated and talented sign design experts in the industry, and we're excited to go to work for you. No matter what industry your business is in or what kind of sign you're looking for, you can depend on our signage experts to craft the perfect sign for you. We take into account each individual company's style and branding as well as location and space. With over 40 years in the industry, we understand how to create exterior signs, interior signage and custom displays that will complement your company's image and attract new clients. Our Design Director and Graphics staff will meet with you to learn your requirements and determine your signage's design and dimensions. Based on your needs and interests, we will help guide you through the selection process in order to choose the best type of sign, materials, lighting and other elements. We design all projects with installation in mind, allowing us to discover and address any potential design flaws in the beginning of the process. Our Administrative staff will also receive necessary clearances from municipal authorities regarding signage placement. Once these have been determined, our staff will go to work fabricating your exterior or interior sign design in our expansive San Francisco Bay Area facility. Our team of expert designers know what makes a commercial sign stand out – meeting the functional needs of your signage, suiting your structural requirements and creating an innovative design solution for your brand. We are focused on creating artwork that mirrors the look and feel of your business and is well suited to the placement on or building’s façade and interior spaces. 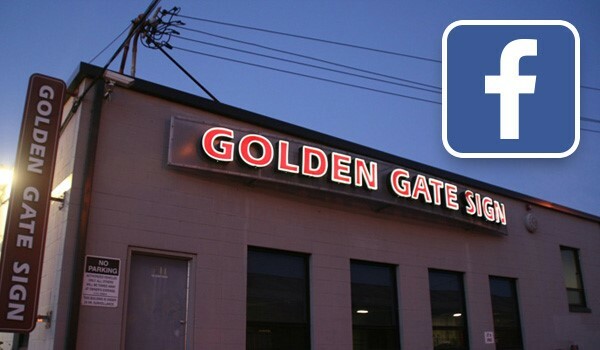 Golden Gate Sign Company serves the San Francisco Bay Area from our Oakland headquarters. We look forward to meeting your sign design needs - get in touch with us by filling in our no-obligation quote form or calling us with your requirements today.